Mix sparkle and colour with this stunning bridal set from Perfect Fit. Crafted in sleek 9ct white gold, this set features a diamond engagement ring with a shimmering diamond halo surrounding a solitaire stone, and vivid blue sapphire detailing set across the shoulders. The set is complete with a diamond set wedding band perfectly matched for fit. 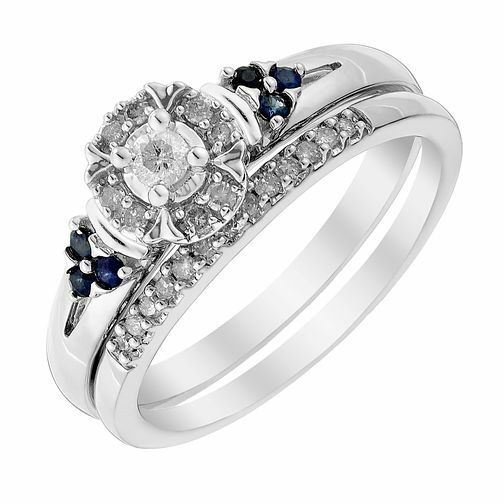 9ct White Gold Diamond & Sapphire Perfect Fit Bridal Set is rated 5.0 out of 5 by 9.